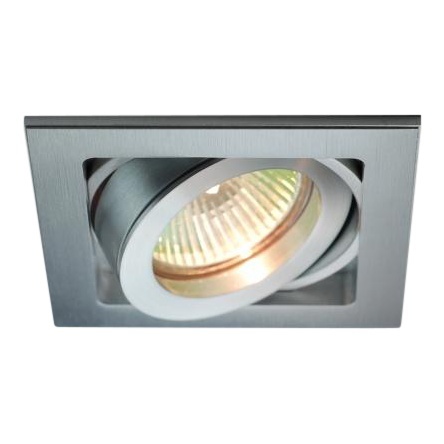 Square design recessed spot. Made of modified matt aluminum and metal. 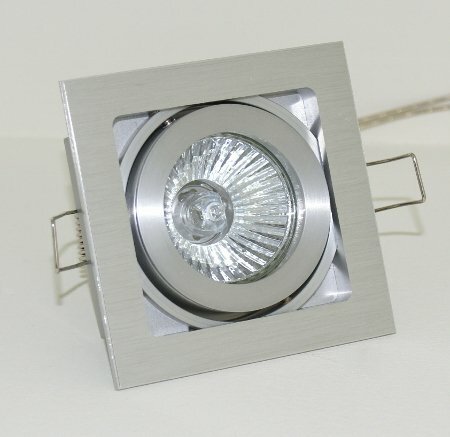 The recessed spot is equipped with an Easy bulb replacement ring. 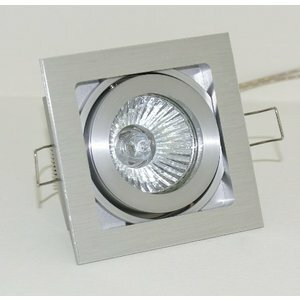 The inner ring of the spot can be simply clicked loose to easily replace the lamp. Due to the beautiful finish, this recessed spot has a very luxurious and modern appearance. 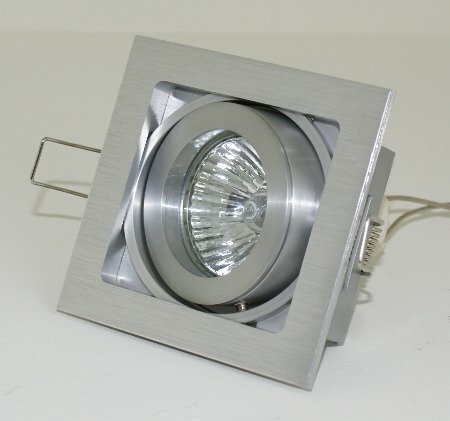 You can combine this fixture with LED lamps and LED modules due to the low consumption of the LED lamps you do not have to worry about the power bill. The spot is equipped with clamping springs and therefore suitable for mounting in a lowered ceiling of plasterboard cardboard or plastic scrapes favored. Suitable for type light sources MR16 12v GU5.3 and 230v GU10 LED light and LED modules.